Left: Sikorsky VS-44A, NX-41880, C/N 4402, Excalibur, circa early - mid 1942. This site covers the Grumman G-73 Mallard, the Sikorsky S-39, and the Sikorsky VS-44A. The information contained on this site is as I understand. Keep in mind that there could be some errors. This website is a hobby, and should be treated as such. Due to the dynamic world in which we live, information that is current today, may be obsolete tomorrow, or better information may be forthcoming. You are on your own - do not use this site as the last word. 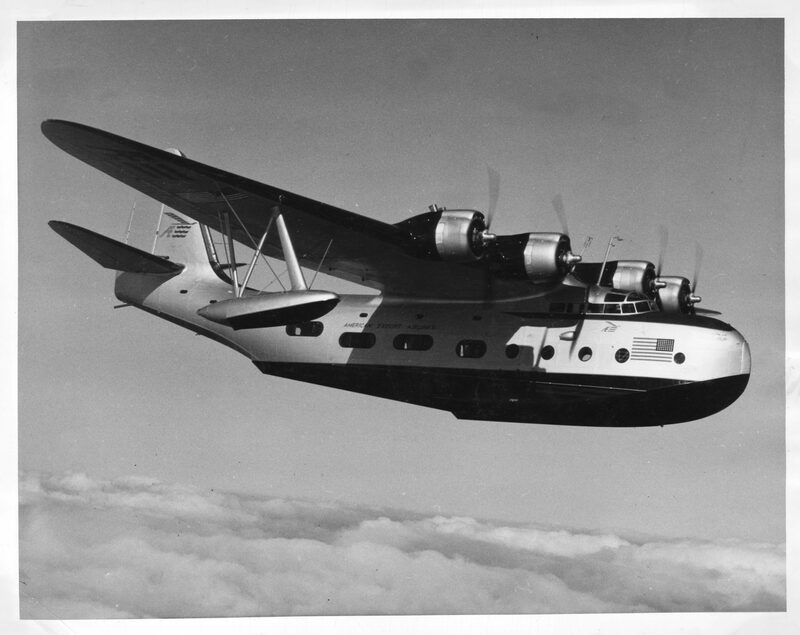 Although there are a few pages on the Grumman Goose, and the Martin JRM-1 / JRM-2 Mars, the Grumman Goose and Martin Mars were not included in this site, in depth, as they are well covered on other web sites - there is no need to re-do what has already been well done. These ( 5 ) aircraft types rank among some of my favorites. Enjoy the site, and thanks for stopping by. Grumman G-73 Mallard: constructor numbers go from J1 to J59. What would have likely been J60 and J61 were not completed. Sikorsky S-39: constructor numbers go as follows: 1, 1 ,900X, 901 to 920. Sikorsky VS-44A: constructor numbers are : 4402, 4403, 4404. Sikorsky S-39: 1929 - 1932. Copyright (c) 2004 - 2019 Randy Poulos. All Rights Reserved. 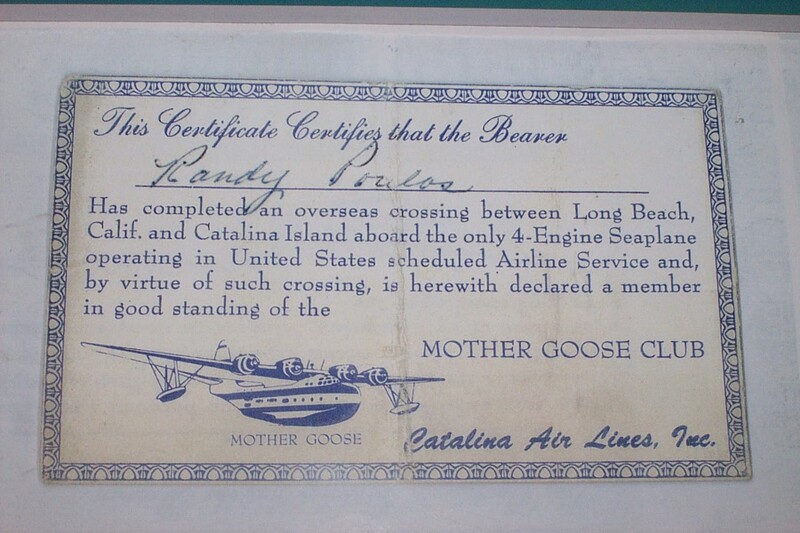 Above: Senior Editor's Certificate of having flown on the Sikorsky VS-44A ( Mother Goose ) / Excambian N41881 / NC-41881 c/n 4403. 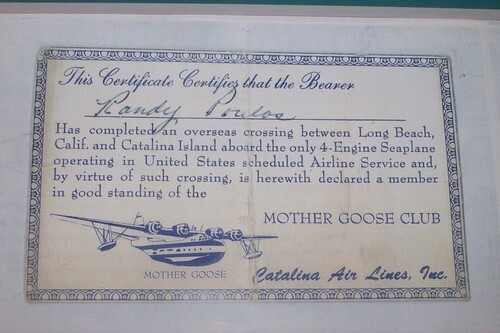 Certificate from Catalina Air Lines, Inc. ( 1967 ).